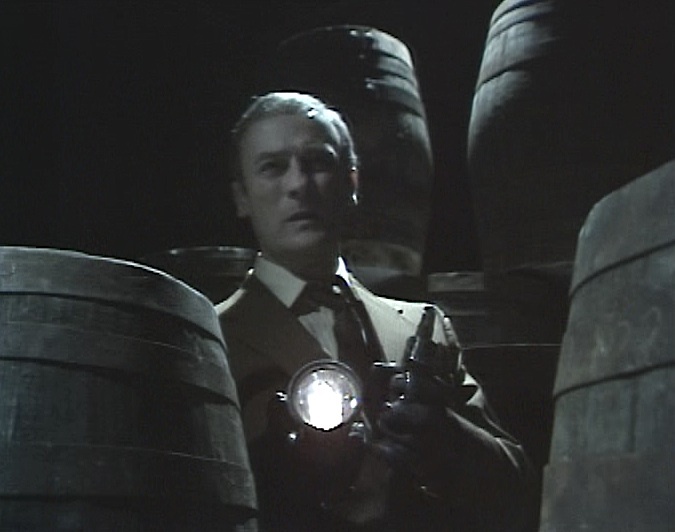 It's a joy to return to Callan once again, and to appreciate the great work of the much missed Edward Woodward in the title role, with the follow up release of the colour episodes of the third and fourth series made by Thames in 1970 and 1972. The final episode on the Monochrome Years DVD set, Death Of A Hunter saw Callan brainwashed by the KGB and used in an ingenious plot to kill the head of the Section, Hunter. The final dramatic scenes of the episode see Callan gun down Hunter and Toby Meres shoot Callan. After the 1968 ITV franchise reshuffle, Callan, originally produced by ABC was picked up by Thames with the first colour episode Where Else Could I Go? transmitted almost a year after viewers had seen Callan gunned down. Writer and creator James Mitchell sets about re-establishing the format and introduces a new Hunter (a superbly arch and rather dry William Squire) and a new partner for Callan called Cross (Patrick Mower). Callan has recovered from the KGB brainwashing and shooting incident but has seemingly lost his nerve. Woodward carefully shows a man desperately trying to put the pieces of his life back together again, and there's a scene on the Section shooting range that clearly shows a Callan reluctant to kill, rather too conciliatory for his own good. Snell, the Section's shrinker (the brilliant Clifford Rose returning to the series on a semi-regular basis) thinks Callan has lost it. Cross, an overly ambitious and arrogant young agent, and Hunter manipulate Callan into working with the section again by using his feelings of friendship and loyalty towards Lonely, now thrown into prison by Cross, to force his killer instinct to return. The scenes between Callan and Lonely here are a true joy, perfectly scripted and performed by Woodward and the superb Russell Hunter. Lonely gives as good as he gets here, believing that Callan had abandoned him, and certainly lets him know what he really thinks about him. 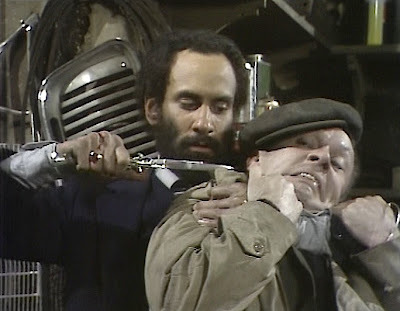 Of course, it makes Callan lose his temper and after understanding that Hunter has painted him into this particular corner he quite deliciously gets his own back by forcing the head of the Section to bail Lonely. It's a good opener, establishing the abrasive relationship between Cross and Callan, the morals of the new Hunter and showing that Callan, despite being the assassin with a conscience, needs the Section just as much as the Section needs him. Look out for Queenie Watts and Dave Prowse in supporting roles as Callan prowls the local market in search of Lonely. In Summoned To Appear, it's once again clear that Callan still has a heart. When out chasing Czech assassin Palanka at a deserted train station late at night Cross accidentally sends an innocent passenger to his death under an oncoming train whilst trying to grab Palanka. A woman witnesses the incident and both she and Callan offer the police differing stories. Callan attempts to persuade the police that the man committed suicide, thus protecting the Section's involvement. It's an interesting examination of Callan's moral concerns about the incident, to the point that he almost perjures himself in court, in opposition to the colder and callous views of both Hunter and Cross. Again, Woodward beautifully gets across the emotional torment Callan goes through to do the right thing by the man's widow and children. Meanwhile, Cross and Hunter use a dissident writer, Karas and his wife (the Karas' offer great supporting roles for George and Hana-Maria Pravda), to lure Palanka back into the open. As Callan struggles with his conscience, Cross' over confidence is his undoing again and when Palanka gets into the Karas flat he's overpowered and it's Karas himself who finishes the Section's rather bungled job for them (quite a violent and gory scene for television in 1970). With The Same Trick Twice the series firmly re-engages with the complexities of the ongoing Cold War. It deals with the devastating effect that 'kiss and tell' books by former agents could have on British security and the trade off of agents and couriers between the KGB and MI5. Hunter is determined that courier Surtees (Richard Hurndall), somewhat aggrieved that the British government blackmailed him into working for them, will not get the chance to write his damaging book. As far as the Section is concerned he's caused the deaths of too many agents after telling the KGB all he knew when he was captured. Hunter explicitly orders Callan to kill Surtees but Callan, his conscience pricking him, is keen to do his best not to kill Surtees and continues to investigate how Surtees was blackmailed when everyone else really doesn't care. He's also rather affronted by Hunter's request to kill him 'off the record'. Sign a bit of paper and murder is approved in the Section it seems. The episode also introduces Bishop, who is essentially Hunter's boss, played impeccably by Geoffrey Chater, and he's again another recurring character and one that plays a significant role in Callan's development at the Section. Callan's preoccupation with painting model soldiers and war-gaming is used as an interesting metaphor in Act Of Kindness. Here again we find him under orders to try and persuade the boss of a import/export tractor company, Heathcote Land, to give a promotion to one of his rivals in the firm, Prescott. The rival has been spying on the Russians on behalf of the Section and they don't want to lose him. Prescott is also putting pressure on the Section to get Land out and the Section desperately tries to find Land's Achilles heel to enable them to blackmail him. Callan and Land play an elaborate war game that is in fact a game within a game because Land already knows who Callan is, thanks to Lonely's sudden appearance at a war game conference. Once again, Callan finds his sympathies lie with the under-dog as they try and out-manoeuvre each other. Smashing performances from Woodward and Anthony Nicholls as Land. Amos Green Must Live, by Ray Jenkins, touches on what is still a very hot political topic - racism and right wing politics - and is a bit of an odd episode, partly because its depiction of black and ethnic minorities and the related social issues is very much of the early 1970s and partly because some of the performances are not as good as they should be. The extreme right wing MP, Amos Green, is targeted with a death threat after a black rights activist is found dead and the Section must protect him. Green's meek little housekeeper, Mrs. Coswood (a great performance from Annette Crosbie) seems to be at the centre of it all. A truly electrifying sequence that elevates the episode, is when Lonely, helping Callan try and find the hit man Casey, is attacked and held prisoner in the run down garage where Casey is hiding out. Russell Hunter again proves what an asset he was to the series with his performance here, especially when Woodward shares the sequences with him. Callan comes to the rescue as Casey admits that his associates plan to gas Green whilst a dinner party is in full flow at his house. The final scene of Callan bursting into the house and shooting the assassins down is a wonderfully bravura moment even if Callan is disgusted that Green is still alive. Hunter orders that the engagement between Mark Tedder (the supremely suave Michael Jayston), a suspected KGB agent, and Beth Lampton (an early role for Stephanie Beacham), a NATO Translator, be stopped by any method in God Help Your Friends. The Section is worried that Beth will hand over secrets to her new husband. 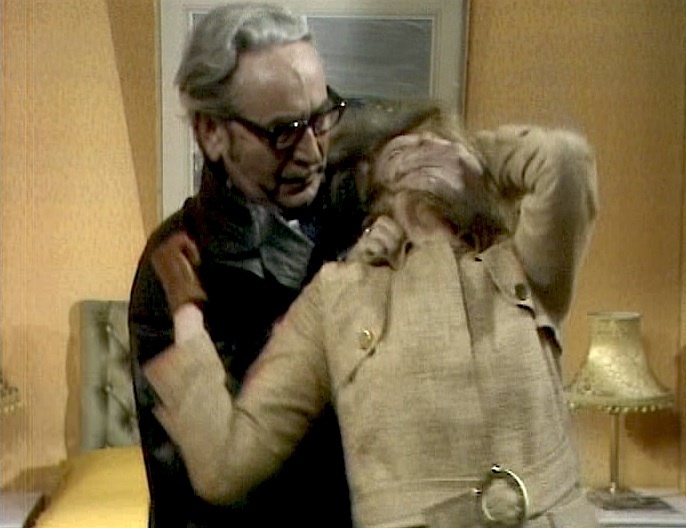 Both Cross and Callan are assigned to the job with Callan rather angry that the Section may well be trying to break up two people who really, genuinely love each other. Cross, as he is wont to do, finds the whole thing highly amusing. They both attempt to find anything incriminating on both parties, including letters and saucy photos from another woman belonging to Mark. But it is Beth's meetings with a diplomat in a restaurant that send Mark over the edge into breaking off the engagement. However, the price Beth pays is truly tragic. Callan is full of self-loathing at what the Section has done to the couple and his own involvement in the job. He was the only one who seemed to care and he's even more annoyed when Hunter reveals that he's a close friend of Beth's father. Again the episode explores the consequences of the work the Section does and the often unpleasant methods they use to get their way. For Callan it's very hard to reconcile, whilst Cross and Hunter have no compunction about what they have to do, and for him it's a constant struggle to justify to himself that what he is doing is right. Fascinating stuff. There is a rare focus on Liz, Hunter's secretary who has been in the series since the beginning and played by Lisa Langdon in a welcome development of the character, in A Village Called 'G'. When she doesn't turn up for work one morning a set of events is set in motion that reveals Liz is the sole survivor of a Nazi pogrom in her native Polish village. Coinciding with this is the arrival in London of Sabovski (Joseph Furst - who originally guest starred in the pilot A Magnum For Schneider), a man who is a wanted war criminal, and who was responsible for the deaths of Liz's parents and their entire village in Poland. 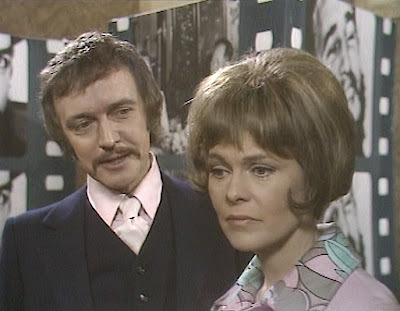 Callan also discovers that Liz has been dating Cross, which is against the Section's policy and that she has also been taking shooting lessons and has signed out a revolver from the armory. However, before she can kill Sabovski, the man drugs and kidnaps her, trying to cover this by feigning her suicide in her apartment. When Callan finally gets to her apartment he finds Cross there and an ambulance removing Sabovski's corpse, apparently having fallen to his death out of the window. Did he fall or was he pushed? A good episode that explores the relationships between those employed by the Section. Particularly interesting is Callan's eventual humiliation of Cross in front of Liz as she recovers, he determined to show her what kind of man she's been seeing, that Cross only cares for the job in the end. It is also a response to the constant undermining Callan is subjected to by Cross and there's a delicious sense that, even though he's an older man, he can still overpower a much younger agent. The story is a boiling cauldron of repressed feelings - Liz's revenge, Hunter's concern (very rare in him) for her, Callan's compassion - in a series that always avoids sentimentality. Feelings and sentimentality are further explored in Suddenly - At Home in which Callan becomes enamoured of Lady Janet Lewis, the widow of prominent public servant Sir Colin Lewis. Joinville (a silkily evil performance from Tony Beckley), a Frenchman who claims to be a TV producer, approaches her, wanting to do a documentary on the late Sir Colin's life. With two children to support the offer of £10,000 is very attractive to Lady Lewis and she agrees to be interviewed. Hunter demands that Callan put a stop to this as Lady Lewis may reveal too much about Sir Colin in the documentary. When Callan manages to persuade her to change her mind it's clear that she's also attracted to him and the feeling is mutual as a romance begins between the two. Joinville is an Eastern Block agent and is ordered to kill Lady Lewis. When she is murdered, Callan at first suspects Cross, who was seen entering the house by Lonely, but they both figure out that Joinville is the assassin. An unconventional romance for Callan and an episode that shows both his gentleness and humanity (lovely two hander from Woodward and Zena Walker) but also his vicious hatred for Cross. There is clearly a complete lack of trust between the two operatives. And it's also very tragic that the relationship with Lady Lewis is cut short even though it's clear that their class difference would prevent any lasting happiness. 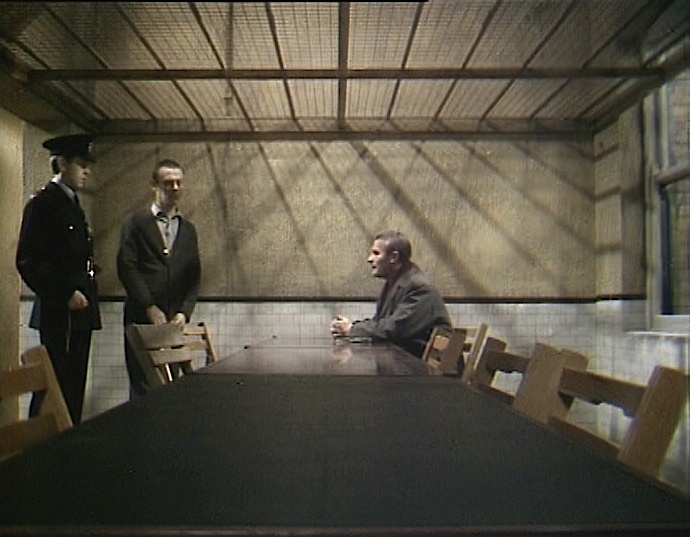 The third series ends with Breakout in which Cross, Callan and Lonely work together to break a KGB spy, Lubin, out of prison. However, they're breaking him out to kill him because he possesses a full list of names of British agents, including Callan. A more action oriented episode, away from the confines of the Section's offices and with a good deal of night location shooting and a shoot-out with Lubin via a getaway oil tanker. Again there is more rivalry between Callan and Cross with Cross' view that Callan is over the hill contested by the KGB's own assessment that Callan is in fact a 'top man' in the section. The fact that Callan is the prize on their hit list is a little foreshadowing of the following fourth and final series. 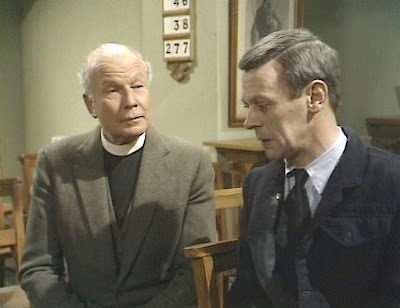 Russell Hunter gets much more to do in this episode and his scenes in the prison are superb, particularly where he tries to steal the silverware out of the prison chapel and has a long chat with the priest. It reveals the man's sweet nature and his meekness even if later he inadvertently tips Lubin off about Callan. With Series Four, one of the major developments introduced after the first episode, That'll Be The Day, is to make Callan the new Hunter. 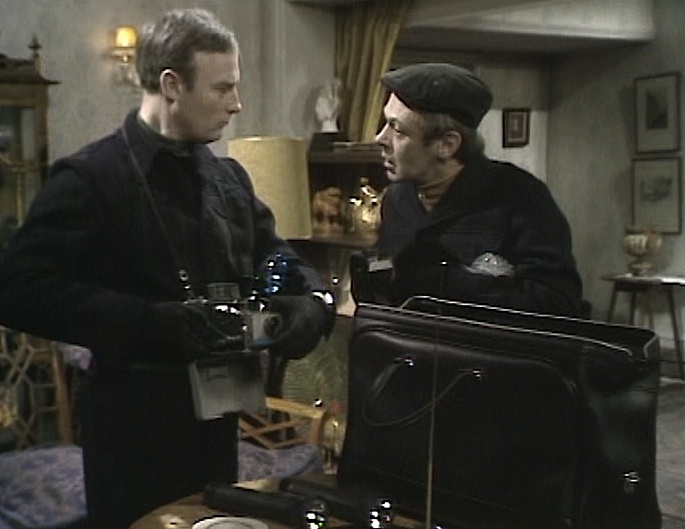 This changes the dynamic of the series, with Callan under pressure of a very different sort, making decisions to kill people from behind a desk rather than being told to do so out in the field. With George Markstein also now in the script editor position on the series, you can also detect a lot of his influences here, especially drawn from his similar role on the early episodes of The Prisoner, with the internal surveillance within the Section, the plots growing in complexity and the characters being imbued with greater moral ambiguity. With That'll Be The Day we also see the consequences of Callan being regarded as 'top man' in the Section. In East Germany Callan is captured and sent to Russia by the KGB where he is ruthlessly interrogated. As Callan rots, the Section feigns his death and stages a funeral with a real body in a coffin. The funeral scene has a nice continuity touch in that we see Ronald Radd make a brief re-appearance as the former Hunter. Only Lonely and Bishop know that Callan is still alive. Lonely stirs things up and Cross and another agent, Stafford, use violence to silence him but even Stafford is taken aback by Cross' cruelty when he forces Lonely to play Russian Roulette. Bishop, however, wants to exchange Callan for a KGB agent they've brought in, Richmond. 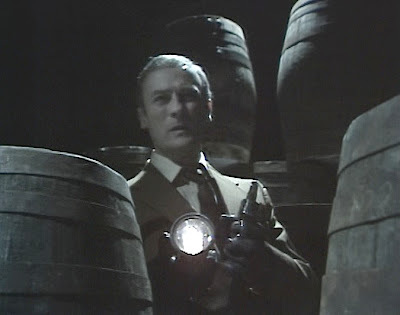 Richmond, (T P McKenna) who will later figure very significantly in the three-part finale to the series, is Callan's equivalent in the KGB. Hunter, on the other hand, would rather keep hold of Richmond for further interrogation and Callan is, to him, quite expendable. Call Me Sir! shows Callan, rather than getting the chance to make a clean break, once again working in the Section under duress and where as Bishop says, "You're a marked man. You will simply have to stay with the service." He's also offered the role of Hunter. Lonely is reunited with Callan but he too is a marked man and Callan attempts to get him out of the country with a set of false papers. However, this is a set up by KGB agent Flo Mayhew (Sarah Lawson, also to return in the finale) and Callan and Cross must deal with an ambush. 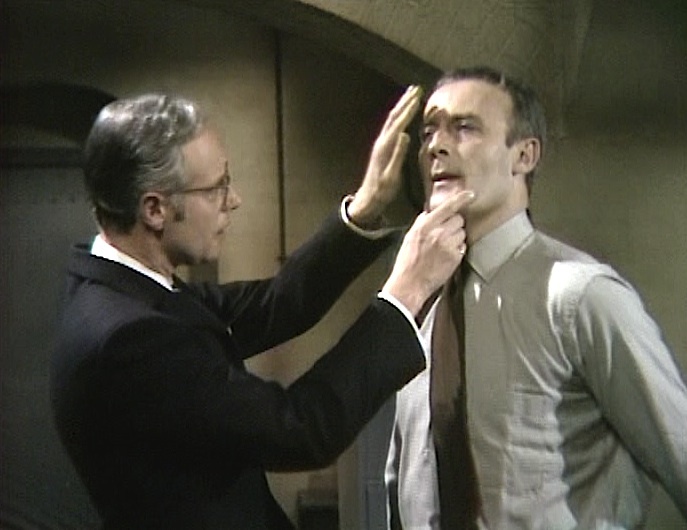 An interesting episode in that Lonely finally puts two and two together about Callan and comes up with 'spy', the abrasiveness between Callan and Cross reaches breaking point and behind the scenes the Section continues to pull all the strings. First Refusal also sees the return of Toby Meres (the debonair Anthony Valentine), Callan's colleague featured in the monochrome episodes of the first two series. Callan, now as Hunter, also gainfully employs Lonely as the Section's Mobile Communications Facility or, to put it succinctly, driving around around in a taxi cab doing much of the staking out and snooping on the Section's targets. Very symbolic of the major theme in this series of Callan finally taking full responsibility for Lonely as an employee of the Section. Callan, Cross, Meres and Lonely have to prevent the sale of a list of British agents to the KGB and Callan equally has to prove he is fit for the role of Hunter. A tense but amusing episode especially with the requisite but enjoyable Callan and Lonely two handers and the unsettling relationship between Cross and Meres. The following two episodes, Rules Of The Game and If He Can, So Could I, form a loose two-parter that focuses on Cross. By this time Patrick Mower had signaled his intention to move on from the series. Therefore Meres return is notable and these two stories ramp up Cross' psychotic nature and show his downfall. In the former, Cross is given the job of harassing a Russian embassy employee, forcing him to return to Russia after the KGB expelled a British official in Moscow. Medov, a cultural attache, snaps under the pressure, believing that this harassment will be seen by Moscow as evidence that he is a suspected spy working for the British. He seeks asylum and in the chaos of driving away with his wife and daughter before KGB agents capture him, Cross accidentally hits his daughter over the head with his gun whilst trying to fend off her attack. A superbly tense episode with a great supporting cast, including the under-rated Mike Pratt as Medov and a very camp James Cossins as reporter Neville Dennis. It shows Cross finally realising that his cold hearted actions do have serious consequences and Callan, now as Hunter, much to his self-loathing, having to play the department rules and turn coldly away from the sufferings of Medov and his family. If He Can, So Could I is certainly one of the highlights of the series. 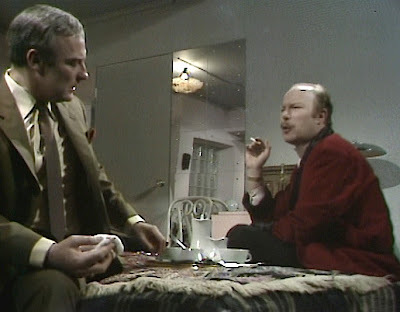 As Medov's daughter lies paralysed in hospital, Snell (another brilliant return engagement for Clifford Rose) is convinced that Cross is cracking up and requests that he is not given any further assignments. Callan disagrees and sends Cross to guard a dissident Soviet poet. Snell is concerned but Callan believes that he can prove that Cross is still stable. Meres is busy following a Russian KGB assassin, Borov. Borov attempts to kill the poet and in the confrontation Cross is shot dead. Callan defies Section red tape and rules and goes into the field and eventually shoots Borov himself. Borov's dying words are 'He let me kill him', and Snell confirms that Cross was actually suicidal and was looking for a way out. Callan is suspended by Bishop for breaking the rules of the Section. A major episode that sees the death of Cross and reveals that beneath the arrogant, cocksure exterior that he was in great turmoil, especially about the girl he put into intensive care. His death then is not just something that happens in the line of duty but becomes a choice that Callan reflects on and one he might similarly make under such pressure. There is an extraordinarily tender scene at the end of the episode where Callan breaks down and exposes his inner turmoil briefly to Lonely. We learn a lot about who he is, his past and how the Section continually grinds the compassion out of a man. Exceptional performances from Woodward and Hunter again. 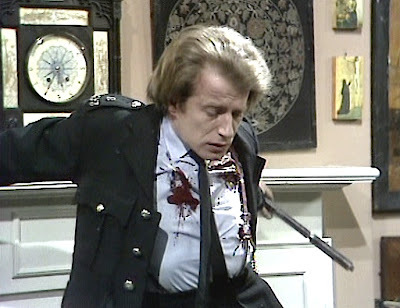 None Of Your Business is a slight anti-climax after all of these pivotal events but it does deal with the consequences of Cross' death and Callan's role as Hunter. Charlie Says It's Goodbye seems rather too much of a re-hash of the earlier Suddenly - At Home with Callan falling in love again but with dire consequences, again. Better episodes follow and I would highlight I Never Wanted The Job and The Carrier because both see Callan demoted but back at the Section and both heavily feature Lonely. In the former, Lonely ends up on the receiving end of a gangland killing when he picks up a fare in the Section's taxi. He is hunted by both the police and the underworld as the only witness to the killing. It's up to Callan and Meres to get Lonely off the hook in the episode's tense showdown and gun battle. In The Carrier we see Lonely's skills as a thief and safe breaker also getting him into trouble as he and Callan painstakingly break into the house of an idealistic scientist, Professor Rose, to copy secret plans he intends to offer to a Dutch publisher who is in fact a Russian assassin. Lonely can't resist and pilfers a silver ornament. Hunter ends up pulling some strings to get the police off Callan's back when Rose reports the theft. Meanwhile, the executioner, Tamaresh arrives and murders two police officers who are following him. 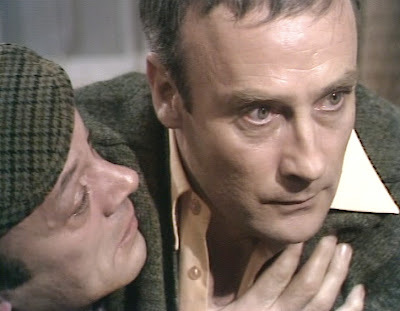 When Callan finally kills Tamaresh, the shaken Professor realises that no one is likely to trust him ever again. 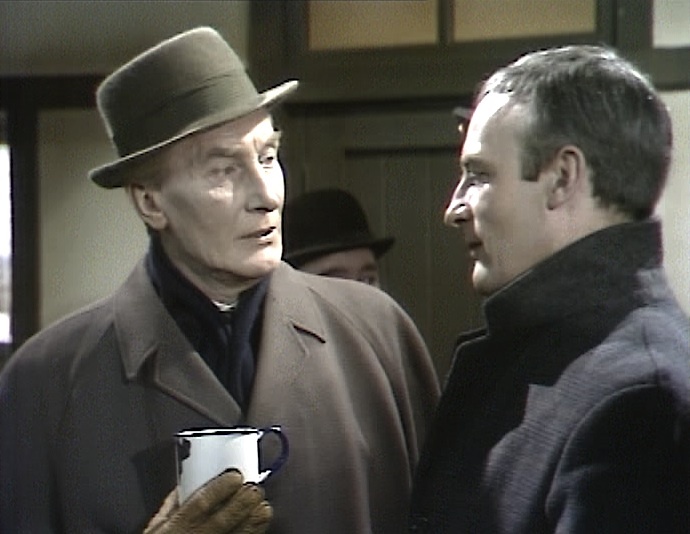 Again, a good episode that shows the internecine connections between government departments that can force that hand of the security services and also the best and worst aspects of the Callan/Lonely relationship. The Richmond File trilogy of episodes ends the series on a very high watermark. The first of these, Call Me Enemy, is quite superb. Richmond, the Russian equivalent of Callan, has defected and the Section has set up a debriefing in a large country house outside London. Richmond and Callan are filmed in secret by Hunter. Richmond defends himself against accusations of being a traitor by simply offering that he's tired of espionage and wants sanctuary, "To forget and be forgotten". He tempts Callan with the same offer and says he could do the same in Russia because those that want to kill you are always your friends. Richmond twists this further by suggesting that Meres is actually a double agent and not to be trusted and in revealing him this is proof of his genuine desire for the Section to give him what he wants. However, George Markstein's script, bearing a resemblance to The Prisoner episode Once Upon A Time, does an abrupt volte face when Bishop enters the scene and it is revealed that the Section are playing Callan and Richmond against each other in order to find out Richmond's real mission for the KGB. 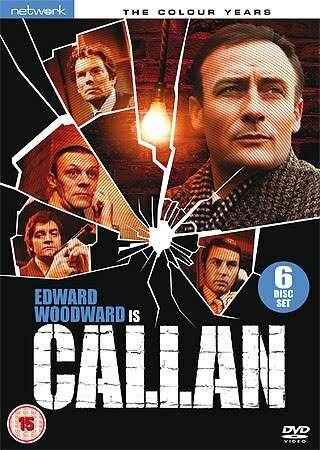 This is as good as it gets, with Woodward and T P McKenna giving superb performances and backed up with an impeccable Markstein script that reveals more about Callan's background ('a recidivist, a relapser, a loser') and his stint in prison. A stunning piece of television drama that more or less takes place in one huge set. It also completes the series' sense of symmetry. Richmond and Callan are the same, both have the same fate and, although they are enemies, they are also in the same position where "it's our friends that kill us". In Do You Recognise The Woman? Richmond is on the loose after escaping from the debriefing and it seems that he's attempting to reach a KGB agent, Flo Mayhew (Sarah Lawson) serving 14 years in Wormwood Scrubs. However, the Section gets to her first and Callan takes Flo to a safe house, with a cover story that they'll exchange her for one of their agents, but not before an hilarious scene where Lonely gives her a piece of his mind. Richmond and his operatives are concerned she's about to be sent back to Russia and the Section close in on him as his colleagues signal the KGB about Flo's exchange. 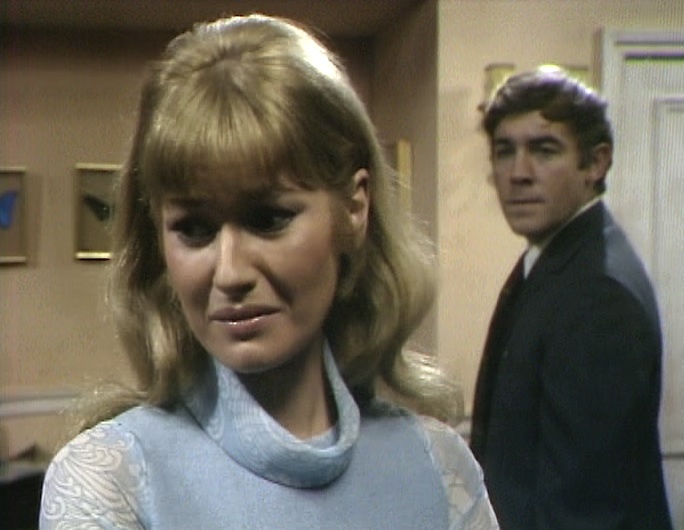 When the exchange collapses, Callan suggests she trades Richmond's location for protection from the KGB. However, Flo escapes after a feigning suicide attempt and locates Richmond with tragic consequences. Lawson is very impressive here too as the desperate but dedicated Flo Mayhew and along with T P McKenna makes this compelling viewing. The finale, A Man Like Me, still sees Richmond on the run and attempting to get passage back to Russia. He stays with a sleeper agent but when Callan and Meres locate him, he has already fled to a warehouse where a truck will pick him up. There is a tense final showdown and Richmond is wounded. Rather than fall into the hands of Snell, Richmond pleads with Callan to finish him off. When he does, it means his relationship with the Section is at an end and he only has Lonely to remind him of his humanity. A terrific box set of the colour episodes and a pleasure to watch. 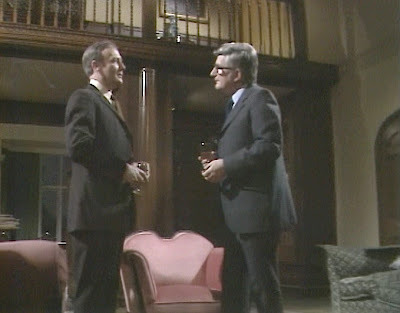 A reminder of how bloody good Woodward and Hunter were, of the quality drama that could be attained in the 'electronic theatre' of the TV studio and those directors synonymous with it: Peter Duguid, Mike Vardy, Jonathan Alwyn, Jim Goddard and Voytek to name a few. It's also the enduring quality of James Mitchell's creation that shines through here and scripts that weren't afraid to show the grimy, cold hearted, unglamorous reality of espionage. A shame that Network couldn't have ported over the audio commentaries and interview that Woodward did for the Australian DVD releases as they are probably Woodward's final recorded word on the series before he died. Otherwise, an essential purchase.